Parking lots are the traditional wasteland of the suburban biosphere. But Google is turning this land into a farm of Solar Trees to generate Power. Google’s Mountain View, California, headquarters is getting a 1.6-megawatt solar system — enough to power about 1,000 homes — that will feed about 30 percent of the complex’s power demand. About a third of the 9,000 solar panels Google’s installing will take the form of overhanging parking shades at the million-square-foot campus in Mountain View. The others will be mounted on rooftops. Which framework you will choose as the best one? 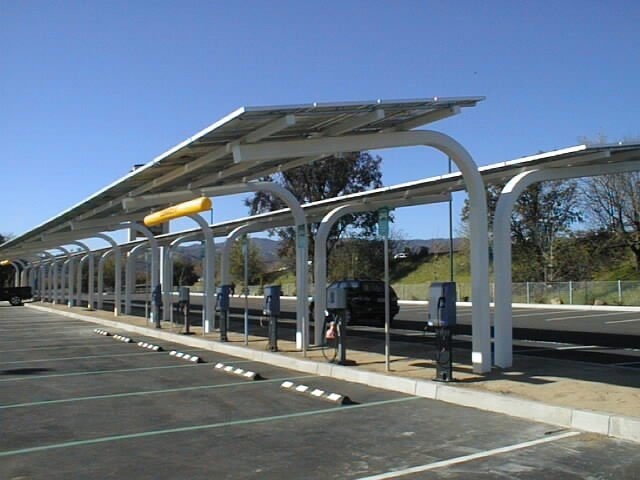 Thanks very much for posting this detail view of the parking lot solar sunshade structures because all I had been able to find was the aerial view of the complex on Google earth and a time lapse of the structures being built.